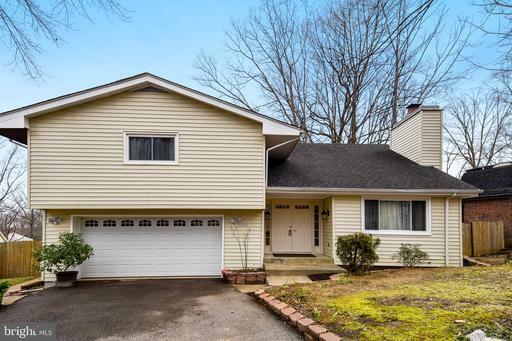 Spacious home in the heart of Montclair! 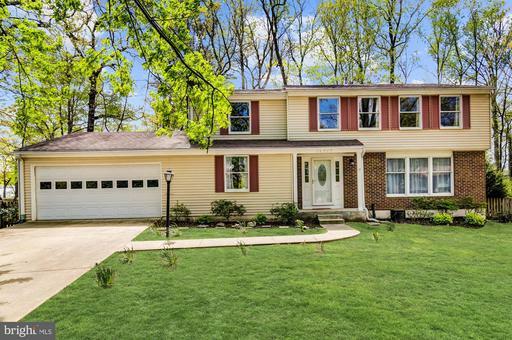 This 5 bedroom home is located on a cul-de-sac surrounded by trees. Sit on the deck accessible from the kitchen space and look out over the backyard and listen to all the birds! 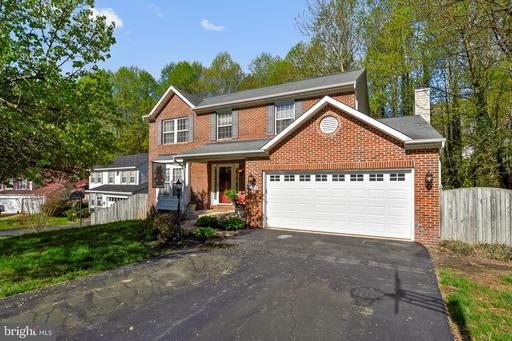 This home has new carpet throughout, even in the walkout finished basement. Lots of room for gatherings and entertaining. With private beaches and lots of community amenities this is a must see home. Lake Montclairs community is situated around a 109-acre lake with three private sandy beaches for swimming, fishing and boating fun. The Montclair Country Club offers golf memberships too! Easy walk to the commuter bus, just 2 stops before the direct trip to the Pentagon/DC! Dont miss! MOVE IN READY!!! NEW 2015 Thompson Creek Windows/NEW 2017 Thompson Creek Siding/Roof/Gutters. Updated kitchen w/quartz 2019 updated cabinets, stainless appliances. 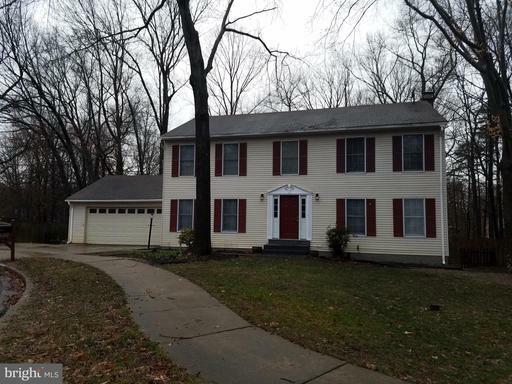 Extended refinished hardwood floors, fresh paint, NEW carpet in basement/family room and updated light figures. 2013 NEW HVAC/2014 NEW front door/2018-NEW sump pump/ 2017 Electrical reboot. 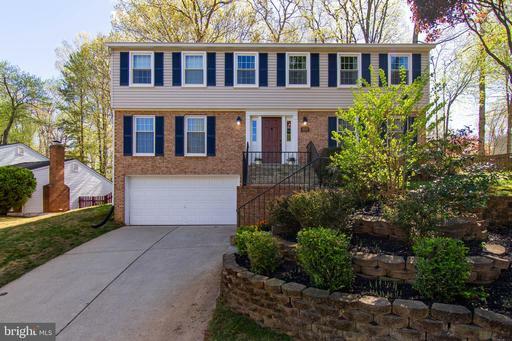 LARGE fenced in backyard with a refinished deck that is perfect for entertaining. Ideal location for commuters. 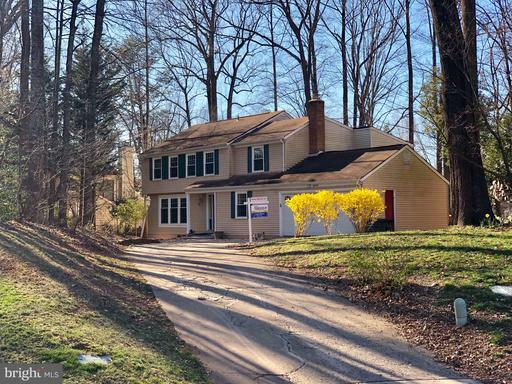 Close to 95/Route 1/Slug lots. Enjoy all the amenities of Montclair!! 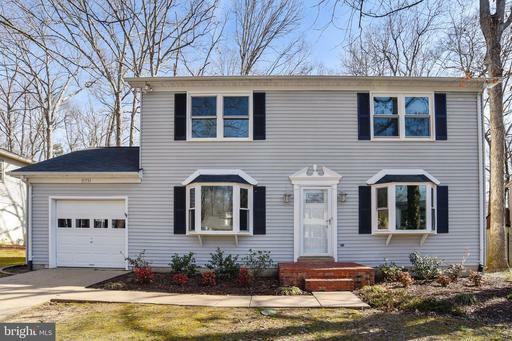 Beautifully updated colonial backing to a scenic view of the 18th Fairway in Montclair features cherry hardwood floors, crown moldings, and recessed lights throughout the main level. The open eat-in kitchen is highlighted by the granite counters, stainless steel appliances and its access to both the cozy family room with a fireplace and the formal living/dining room. The upper level hosts four spacious bedrooms and two full baths while the lower level offers a recreation room, the fifth bedroom, and a full bath. The Montclairs POA offers access to three beaches and playgrounds. 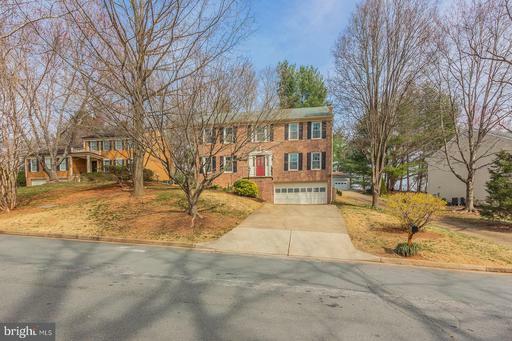 This home is close to plenty of shopping and dining options and provides easy access to 95. Open 4/21 1-3PM* Gorgeous uniquely designed contemporary situated on a level fenced lot in cul-de-sac. Short walk to country club with 18 hole golf course,pool tennis courts. Move-in ready! Freshly painted. Gleaming wood floors. Stunning two story great room with wall of windows custom window treatments. Huge remodeled eat-in kitchen with loads of custom cabinets pantry.Family room with fireplace sliding glass doors to large patio. Master suite w/ sliders to large covered deck to enjoy your morning coffee plus private bath. Finished basement with new carpet is ideal for man cave or media room with 2nd fireplace. Workshop area plus storage. One of a few homes in Montclair with natural gas heatinghot water for energy efficiency. Remodeled powder room. Roof aprx 3yrs old. Huge patio covered deck. Two car carport with extended driveway storage shed. One year warranty. Enjoy Lake Montclair which offers three private sandy beaches, playgrounds, parks, and fun community events. Few minutes from commuter lot, buses I95 . 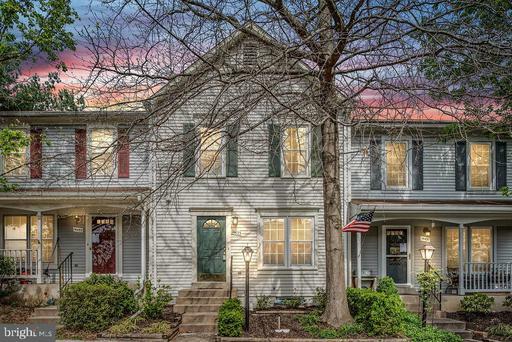 Montclair townhouse, with 2 assigned parking spaces, is waiting for you! This townhouse has 3 bedrooms and 2 bathrooms upstairs. The master bedroom has a walk-in closet with an organization system installed and ensuite. The main level is open and inviting with a living room, half bathroom, dining room, and kitchen with table space. The kitchen door leads to a private, well-manicured, fenced backyard with a brick patio, tool storage, and raised garden. The basement is a hidden gem with a family room, wood burning fireplace, full bathroom, and spare room to use as a bedroom, study, craft room, etc. Every inch of space is well used and in great shape! Lots of storage with the basement utility room, storage under the stairs, and an attic. New windows with screens and tilt-in cleaning feature throughout Nov 2018! Regularly maintained HVAC system. Freshly cleaned carpet. Neutral paint. Move-in ready, to say the least! Perfect 10. This is a one of a kind gem located in the sought after lake community of Montclair. Short walk to Dolphin Beach and local park. This home shows pride of ownership top to bottom with Tile counter-tops and back splash, Gleaming Hardwood floors throughout. Main level family room with a gas fireplace french doors to deck, Separate living and dining room. 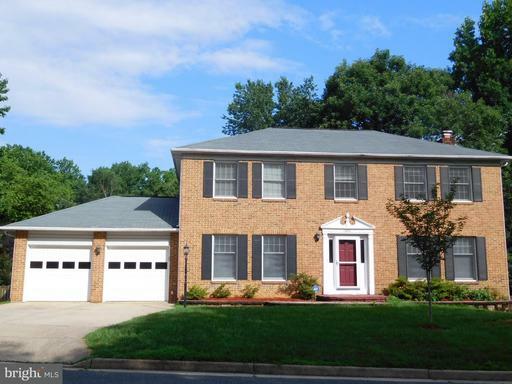 Upper level features 4 spacious bedrooms with a large master suite with updated full bath. Built in closet system in master. Step into nature in your private well landscaped yard. Sit on your new large deck and soak in nature. This one wont last! 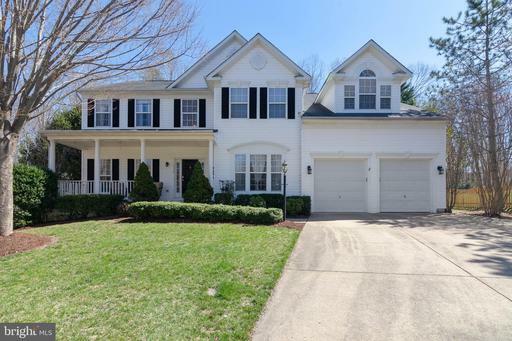 Close to shopping and all of Northern VA Military bases. 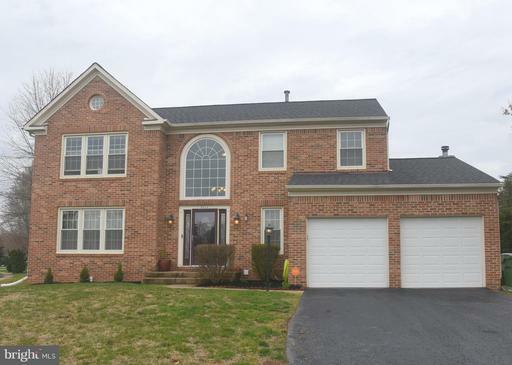 Exceptional Brick Front Colonial has been Upgraded Through Out! Youll love every thing abut this impressive home. Inviting 2 Story Entry! Hardwood floors! Kitchen is a chefs delight. Double wall ovens, cook top, built in microwave, large island, granite counter tops and lots of cabinets and counter tops! The whole family can gather in the spacious family room with a cozy fireplace! Or relax in the huge sunroom with ceramic tile floors, cathedral ceilings, and panoramic windows.MASTER BEDROOM FEATURES VAULTED CEILINGS, WALK IN CLOSET AND LUXURY BATH WITH A CLAW FOOT TUB AND SEPARATE SHOWER! 3 SECONDARY BEDROOMS ALSO ON THE UPPER LEVEL! Beautiful New Bamboo Floors on the Entire Upper Level! 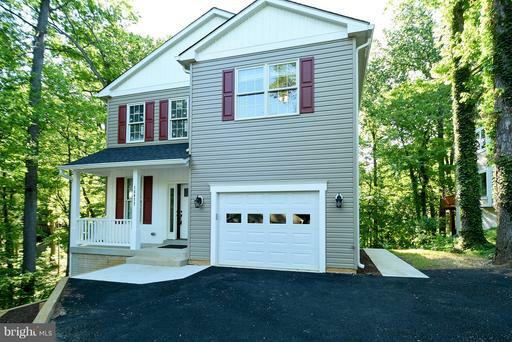 FULLY FINISHED LOWER LEVEL WITH FULL BATH WOULD MAKE AND INVITING GUEST SUITE!SPACIOUS DEN, EXERCISE ROOM, REC ROOM WITH A CUSTOM BAR AND SGD TO BACK YARD! TRULY A WONDERFUL HOUSE TO MAKE YOUR HOME WITH SPACE FOR THE WHOLE FAMILY! 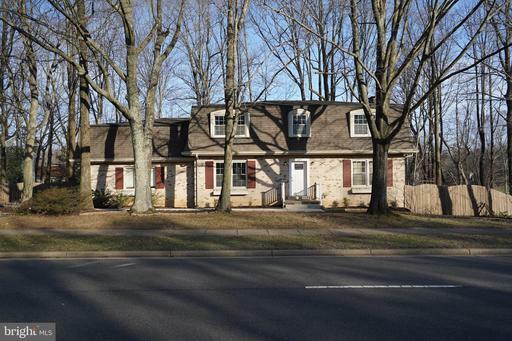 CHECK OUT THIS TIMELESS COLONIAL IN MONTCLAIR! FEATURES BEAUTIFUL REFINISHED HARDWOOD FLOORS ON THE MAIN LEVEL NEW CARPET IN THE REC ROOM! NEWER GRANITE, NEW UPGRADED STAINLESS-STEEL APPLIANCES IN THE KITCHEN! LAUNDRY IS CONVENIENTLY LOCATED OFF THE KITCHEN. LARGE ROOM SIZES THROUGHOUT, HARDWOOD FLOORING ON THE ENTIRE SECOND LEVEL. NICE SIZE MASTER BEDROOM WITH BRAND NEW UPDATED BATH. THE UPPER HALL BATH IS ALSO BRAND NEW! BOTH HAVE NEW BATHTUBS WITH CERAMIC TILE SURROUNDS, UPGRADED VANITIES, CERAMIC TILE FLOORING, NEW FIXTURES! LARGE, WALKOUT, FINISHED BASEMENT WITH AN IN-LAW SUITE-KITCHENETTE WITH COUNTERSPACE, STOVE, REFRIGERTOR, SECOND WASHER/DRYER, RECREATION ROOM, FULL BATH, POSSIBLE 5TH BEDROOM. POOL OUT BACK! Peace and play time perfectly blend to welcome you home to Lake Montclair. 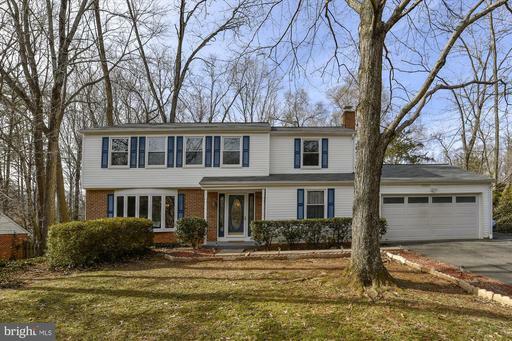 Loads of charm with open airy spaces, hardwoods, updated kitchen and baths. The bonus sunroom is the icing on the cake to this adorable home in Montclair~s sought after Lake Resort community with endless amenities. Step out onto your large deck and enjoy the cool shade on a warm spring day. Your large back yard is Flat, Usable and Fully Fenced! Spend the summer at the private community beaches. Fun events throughout the year include the fourth of July fireworks over the lake, Montclair Day carnival, and Oktoberfest fun! The cushy commuter bus is just around the corner to zip you to the Pentagon and beyond. Dont miss out on this opportunity! Custom multi-level contemporary home with lots of fresh upgrades! The living room is a must see with beautiful wood accents. And love the solid wood beam upstairs! 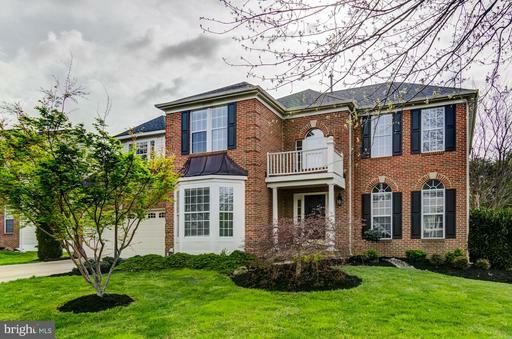 This home has been meticulously maintained! HVAC with ultra violet alergen filter, Roof, siding, Water Heater, windows, light fixtures, all replaced in the last 10years. All new luxury vinyl waterproof tile upgraded in 2018. Step up to the loft area, perfect for 4th bedroom, office or gaming room. Open kitchen with sold wood custom cabinetry with sleek granite counters and fun cork board feature wall. Step down to the family room with bamboo floors and access to the fully fenced in backyard! NOTE that seller will remove salon equipment and convert back to family room. Grill out on the patio or toss that football on the side lawn. Head down to one of your three private sandy beaches in Montclair, with swimming, boating and fishing docks! 108 acres of pristine beauty at the heart of your new Lake Resort Community. Join the country club for Golf and Swim memberships too! 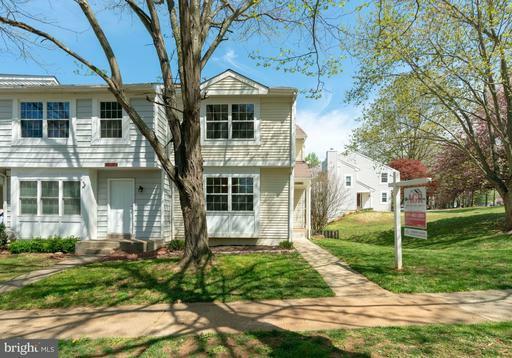 Easy commutes to Quantico, Ft Belvoir and the Pentagon. Theres even a cushy commuter bus down the street to zip you to work! What an opportunity to have a one of a kind home with community amenities and lifestyle enhancements at every turn. Dont miss out! Four years young. 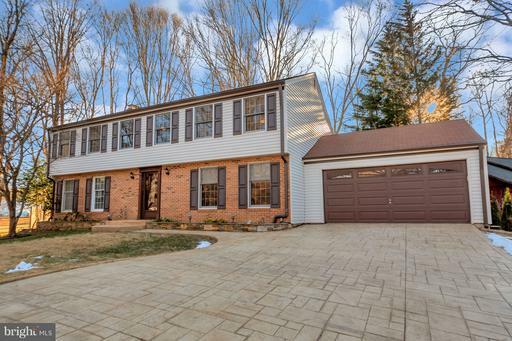 Gorgeous home in theMontclair community, nestled in a culdesac. 5 bedrrooms, 3 full bath, 1 half bath. Finished basement/ in-law suite, your choice. 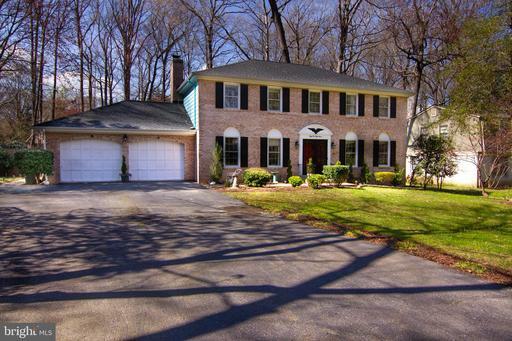 Minutes from Quantico and Fort Belvoir, I95. WALK to West BEACH! 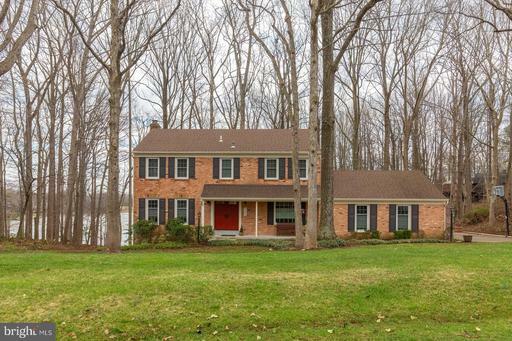 Just around the corner from one of three private sandy beaches in sought after Lake Montclair. Brand new carpet just installed in the expansive lower level with bright and sunny rec room, and extra large den/guest space. Welcome home to upgrades galore! Granite counters, new cabinetry and large kitchen island are the heart of your home with easy flow through all main floor living spaces including your spacious family room with cozy fireplace. The bay windows in the front living room bathe the space with natural light. Extend your living space outdoors to the deck with plenty of room for all your friends and family. EXTRA BONUS is a large back yard with tons of usable space for whatever your heart desires. 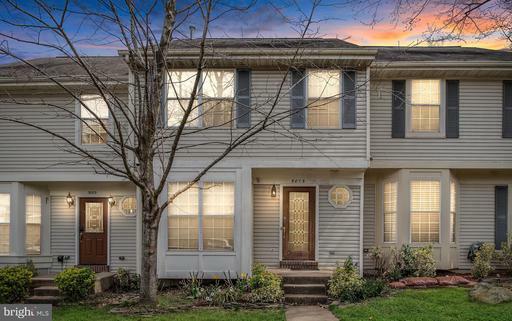 Back inside, step up to four generously-sized bedrooms and two full baths. HVAC: 2013; newer roof and windows. 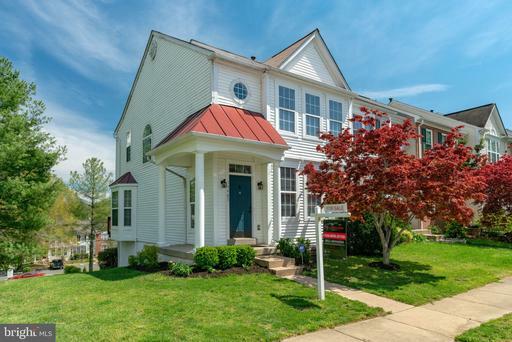 Resort-style living just 25 miles from DC--Montclair has it all! Lake community with 18-hole golf course, full-service country club indoor/outdoor tennis, two pool complexes. Year-round fun for everyone! Cushy commuter bus on the corner that can zip you to the Pentagon and DC. Dont miss out on this opportunity to exceed your wishlist! SPECIAL FINANCING AVAILABLE! Wonderful home in Montclairs Country Club Lake Community. 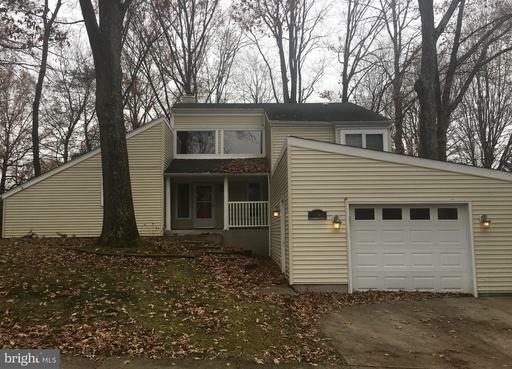 This A frame home has many great features, one level living, handsome stone fireplace, wrap around deck, fenced rear and much more. Come take a look! Motivated Seller!!! 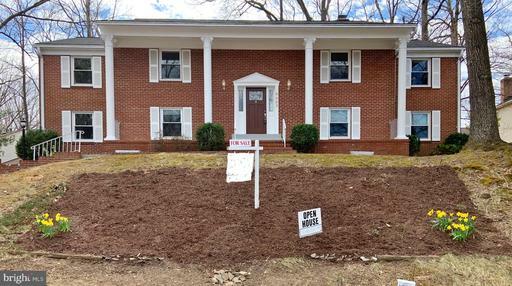 This awesome all brick home with an oversized 2 car garage on the back is ready to move into. 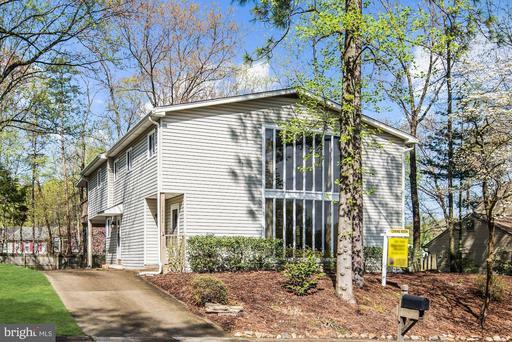 It sits on a cozy cul-de-sac with a wooded backyard and a view of the Montclair golf course. You can enjoy the park like view from our morning room addition. You will love our "Great Room" with its oversized brick fireplace. The Smart TV conveys. Our kitchen has granite, stainless steel appliances and lots of cabinet space. The lower level has a fourth bedroom and two more full baths!! You will also find a game room and another rec room complete with a wet bar and second wood burning fireplace. This home has it all!! Our roof is only 3 years old! The windows are two years old. Each come with a warranty! WASHER DRYER CONVEY! Short sale back on market. Quick closing with full price offer. 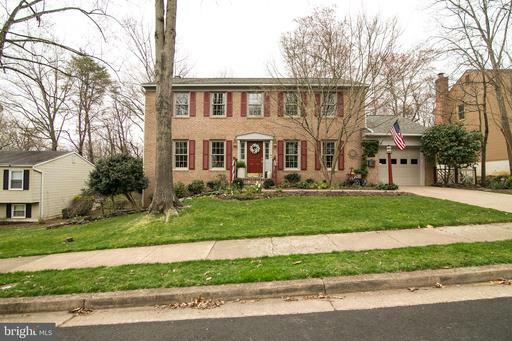 Brick front colonial on quiet street. Privacy fence, flat yard and screened porch backing to trees. Hardwood main level with open-concept kitchen/eat-in/family room with gas fireplace that heats the whole floor. Granite countertops, stainless steel appliances other updates. Five bedrooms upstairs, dual-sink master bath with soaking tub and separate shower. Basement has full bath, bonus room with theater lighting, built-in office furniture and lots of storage. 2-car oversized garage with many shelves and walk-up attic. Roof and dryer 2 yo, furnace 3 yo, washer 5 yo. Well cared-for home shows pride of ownership. 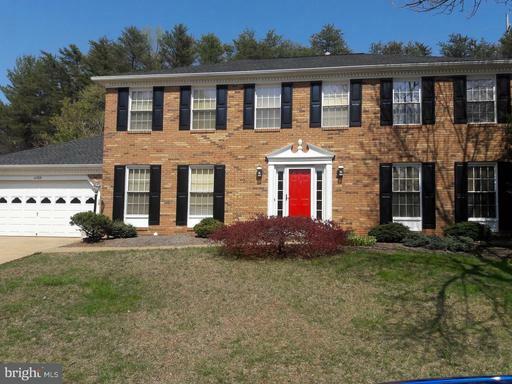 New improved price on this beautiful home in sought after Montclair, VA. LOCATION, LOCATION, LOCATION! Living is easy in this beautiful home located just off the 18th hole of Montclairs golf course and just minutes away from lake or pool swimming, shopping and restaurants. This home is situated in sought after Montclair and has a floor plan that encompasses five spacious bedrooms, all on the 2nd floor, and plenty of room to spread out. 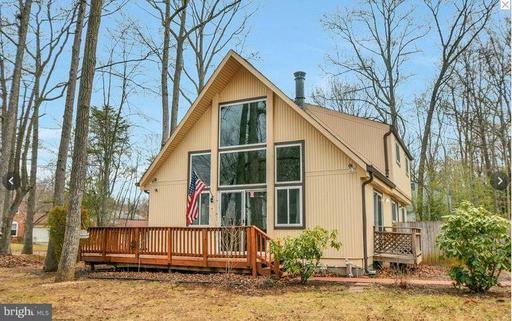 It has two and a half luxurious bathrooms, and an updated open kitchen that flows into the living room and out to your own sanctuary among the trees. 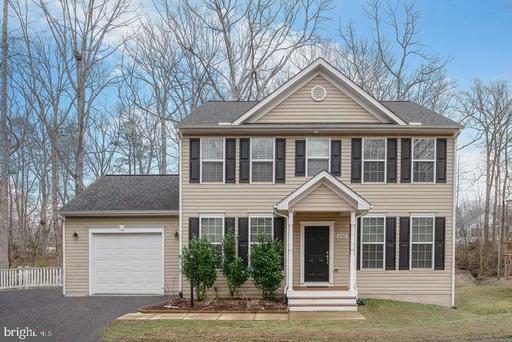 This home has plenty of upgrades to include, upgraded siding, counter tops, attic insulation, crown molding, chair molding and a beautiful custom driveway. This home is move in ready and is a MUST see! PRICE REDUCED FOR QUICK SALE!!!!! Vacant and Ready to be purchased!!! Must See! Beautiful Montclair home on scenic private lot. 4 bedrooms; 2 masters. 3 full baths. Open first level provides an abundance of family space, including family room with fireplace, formal living area, dining room, kitchen with great storage, eat-in area and a 2nd family room. Gorgeous backyard viewwith deck and yard that backs to the golf course.